I'm trying to fix this mess I've made recently, so please bear with me! Blog AND health changes are never a pretty look. I'm pretty sure it's been...okay, let's just say it's well overdue for a new Widened Horizons post! As I've said before in one of these WH posts, I love surfing the web for amusing things. It's sort of an escape for me. Who doesn't need some retail therapy every now and then, I mean c'mon?! This button-down shirt dress gives me "summer French girl vibes"--whatever that means. It's different, it's chic, and it looks comfy! I hope this style becomes more popular because I'm a fan. I want to be more carefree this summer. 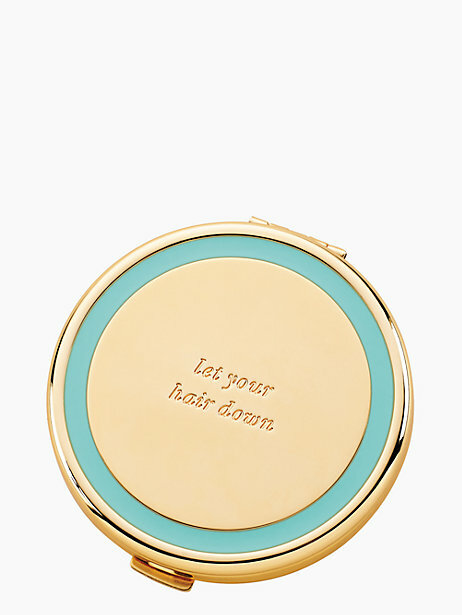 Be spontaneous, be a little wild, and hope to let my hair down once in a while just like this cute little compact says to do! Sometimes you still need a good pair of socks for the summer. Socks that'll make you drool. But...socks, all the same. I'm thinking about picking up the Harry Potter books again. This car decal has me inspired! I love the owl find for this time around! 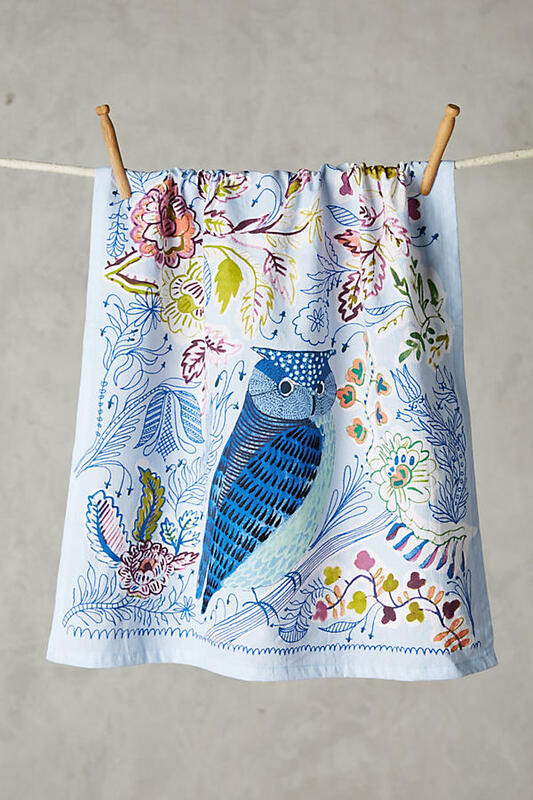 A dishtowel! Because in all honesty, who doesn't need one? Brb buying it. Thanks, Dr. Seuss, for cheering me on! Fun Quiz: Prescription Drug or Tolkien Elf? I can’t believe May is practically gone! You can tell I’ve been absent on the blog lately, and you can probably guess that’s because of the Lyme. In my head, I had this AMAZING idea of what I could do for Lyme Disease Awareness planned out. In reality, I’m broken down from seizures and migraines and pain. I’m trying though, and this post is the result of that. So while it may be late in the month of May, it’s still Lyme Disease Awareness Month, and it’s never too late to spread some information! Let’s go ahead and dive right in: what is Lyme disease? Well... Lyme disease is a bacteria that is transmitted from an infected tick. That’s the basic definition. Lyme Disease is the fastest growing vector-borne, infectious diseases in the U.S. and probably the most difficult to diagnose. Fewer than 50% of people with Lyme remember being bitten, and fewer than 50% recall the "classic" bulls-eye rash. Tests are unreliable, insurance doesn't like to cover you, and unfortunately, many people go on to have debilitating chronic symptoms. This is why prevention is so important in the first place. What can you do? Use DEET. If you don't feel safe using it, you can make your own repellent, but I would recommend the DEET. Always, always, always inspect yourself and your family members after coming indoors from any recreational activity. I always picture monkeys picking bugs off each other. Places like armpits, the back of the knees, and other warm places are common places where ticks like to hide. Wear light-colored clothing so it’s easier to see the critters, and tucking your shirt and pants in are wise decisions as well. It may be bothersome but it’s worth it. What do you do if a tick has latched on? First of all, don’t burn it off, don’t use Vaseline, and don't perform those other weird Old Wives' Tales. Tweezers work, but a Tick Twister can be handy. Try not to grasp it by the body because you risk the danger of the tick spitting more bacteria into you. (Gross, I know.) Here are clear instructions on tick removal! Worried it may be Lyme? It has been deemed "The Great Imitator" because it has the ability to mimic all sorts of conditions, making it hard to diagnose. MS, Lupus, and oh--the great case of, "It's all in your head" can all be things you might hear from doctors. Don't give up if you feel like Lyme might be the case. Always get a second opinion. As far as what you may want to look out for first are flu-like symptoms. Because the tests for Lyme are so unreliable, many who are suffering get a “false-negative” with bloodwork when they actually do, in fact, have the disease. This results in them sometimes going years without a diagnosis or a proper treatment. If you’re infected, I would highly suggest trying to find a Lyme Literate Medical Doctor. A doctor who actually understands. Hence the “Lyme Literate” part. I’m not trying to be depressing, but Lyme disease has quite frankly, taken it out of me. It’s robbed me of a good part of my social life, my independence, and the feeling of who I am anymore. If I want you to take away anything from this post, it’s to simply be aware. Look after yourself, be cautious, look for the signs and know the signs, and most of all, please take this illness seriously. It really is worth it if you can take just a few precautions the next time you camp, the next time you venture into the woods, hell--the next time you walk out into your backyard. The Art of Health is a fresh and revolutionary approach to health care that teaches you how to take charge of your own health and avoid getting caught up in the expensive, circuitous, fear-based, and often ineffectual medical system. It seeks to highlight what is often overlooked, which is that you, the individual, can be your own best source of vitality by tapping into your innate ability to create a healthy life. Dr. Patel draws on her own experiences treating patients, who have achieved significant improvements in their health and quality of life by following the guidelines covered in this book. I enjoyed how The Art of Health, by naturopathic doctor Aarti Patel, touches on you being the boss of your own body. Because that’s essential. NO one knows your body like you do That's why I always tell someone if they feel like something may be wrong or out of whack, get it checked out! And—this is important—if a professional’s word doesn’t seem right, go get a second opinion! And a third! A fourth! Whatever is needed to make your body feel right. "The best way to practice the art of health is by staying true to who you are throughout it." Such a good quote, right? I have noticed many people in the chronic illness community going through different treatments, and when having to decide which way to go, in the end most go with the treatment that best suits them, not always the one that the medical doctor advised. Don’t try to treat your health with something you feel uncomfortable with or something that stretches the limit of your body to an extent that will be overwhelming. Go with your gut! One thing Patel talks about—which I really appreciate and need to remind myself of—is how you should be SELFISH in order to help find your health. It’s going to take a lot of time, usually, to start feeling better when on treatment. With a chronic health condition, that usually means we can’t be cured, but that doesn’t mean we have to brush ourselves and our health to the side. So be patient with yourself, and like I said—remind yourself that you’re number one in this battle for health. Speaking of being selfish, self-care comes in handy here. I’m glad the book covers a lot about stress because it can affect your body in so many ways—especially when it comes to chronic illnesses. Patel states that, when it comes to stress… “The three R’s of personal health care and the one P include: Rest, Relaxation, Rejuvenation, and Pampering.” I can handle that! For instance, I always feel just a smidge better after dressing up (hello bold lipstick) or after getting a haircut. Sometimes even a 20-minute nap will do it! Like I touched on before, Patel gives great advice and doesn’t give you do’s or don’ts. 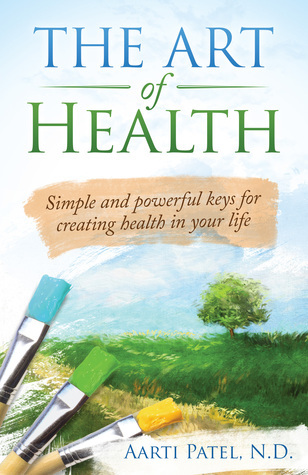 Instead, the book mainly encourages you to find what works best for you when it comes to health. She acknowledges that we all have limitations, and what’s better—she doesn’t say things like, “So if you work harder with some yoga, you’ll be all better!” What I did have a problem with, however, was that her many case studies touched on in the book became a tad too excessive for my taste. I just wanted to read the book, not her case studies. I can understand how this could work for others, but it felt like brief interruptions for me. There were workbook-like questions incorporated into the book, and I appreciated them. They seriously gave me a chance to think about some things when it came to my health and my “selfish” ways. Overall, The Art of Health was well-written, had great quotes, and great advice. I would recommend it, even if you don’t have a chronic illness. Learn! Learning is great, and Patel is a great guide and a great teacher. From April 6-9, the Kindle version is free on Amazon! AWESOME, right? *I received this book for free in exchange for an honest review. Well... It's certainly been a while! I've been struggling quite a bit with my health, so I just haven't been motivated to come here and write, unfortunately. I didn't want to write anything too depressing about it all, so I figured I'd create a "Currently" post instead so y'all could read about my life without having to be in a funk as well. So, currently, I'm feeling pretty dang bad emotionally, physically, and mentally (I always use that phrase but it's always so true), but I'm trying to stay positive. With that said, let's see what else I've been up to! Reading: I just finished The Art of Health by Aarti Patel (review coming soon!) and am currently making my way through Sharon Rainey's The Best Part of My Day Healing Journal which is an enriching workbook for anyone, but especially those with a chronic illness. I love having something to go back to later in the day which forces me to ask myself what I'm grateful for. One of the questions that pops up in the book a lot is something along the lines of, "Who did you let off the hook today?" Now I've noticed, just out doing things like hearing a loud man on his phone while grocery shopping, I'll think to myself, "I'll let him off the hook today so I can write it in the book later..."
Watching: I've been following along with favorites like This Is Us and The Bachelor. Wow, what opposites though, right? I can't even talk about This Is Us without getting emotional. And while The Bachelor makes me emotional, it's definitely not from crying; I feel like I'm always so angry after watching it! I'm still hanging onto the show Timeless as well. I love the characters, the humor, and the history of course! Craving: The mountains! I miss my mountains! Some of you probably know I went to college at a school smack-dab in the mountains of NC. I became insanely nostalgic for it the other day when I starting reminiscing with an old college buddy. I do not, however, miss walking up those hills to class! Pshew! Listening to: The Skinny Confidential's podcast featuring Ally Hilfiger about Lyme disease and her book Bite Me. I bought the book immediately after listening to this. I think the podcast was actually very factual about Lyme, and it was great about bringing awareness to the disease! Loving: Way behind on this highlighter but LOVE it. The rose water makes my face feel so refreshed after using it, and I can’t wait to try it on my dry scalp. And this candle—this Rewined candle--AHH. Everything about it is amazing. It smells so nice (Vinho Verde scented), and I love that it is repurposed and everything. Doing: I'm getting back into knitting again. On the loom, of course. Those looms you find at Wal-Mart, but still! They can turn out some pretty products if you really try. I've made some really nice scarves and a few gloves before on them. Right now I'm working on a neat little scarf, and even though it's going slowly, I am sure it will turn out really nicely! Any hobby to keep my mind off of the pain I've been in. What's your favorite hobby? Did you take up anything along with the new year? HeadAid Natural Migraine Relief: Review and Giveaway! If you are a regular reader of my blog, you know by now that I suffer from chronic migraines. I take preventative and abortive prescription medications but do welcome any form of natural relief. HeadAid, for instance, is a natural alternative to prescription meds with proven ingredients that I was thankfully able to try out for free. I’ve never really tried anything like this product to be honest. HeadAid is simple: it's an effervescent powder that you mix in with water, in the form of a convenient individual stick pack. One of the ingredients found in all three stick packs is magnesium. This is GREAT because many migraneurs are deficient in magnesium, and the lack of it can cause their migraines. On the day of a shopping trip, knowing full-well it was going to be a busy and frantic ordeal, I placed one of the lemon ginger sticks into my purse in case I would need it. I am so glad I did that because--you guessed it--a migraine came my way. The lemon ginger surprised me by relieving the throbbing pain I get right before a huge migraine and basically knocked most of the migraine out. Awesome! The lemon ginger flavor is called the "fast-acting day abortive" one because you take it at the onset of a migraine to help reduce symptoms during the day. It's probably my favorite even though I find the ginger a bit overwhelming. I feel like it works the best for me in that it really seems to be fast-acting, like its name says. AND the caffeine in it gives me a bit of a boost, not to mention my nausea eases off because of the ginger. The berry flavor (preventative) and the chamomile ginger (fast-acting night abortive) weren't samples I used nearly as much as the lemon ginger, but I did enjoy them--especially the berry. I just really wanted to emphasize the lemon ginger because of how well my body reacted to it. It really seemed to work the best for me out of the bunch. All three tasted well (something I was scared of at first), and they all shook up just fine in a water bottle. Simple, tasty, effective! I will be giving away three HeadAid trial packs to one lucky winner! I am giving away three trial packs to one individual. The giveaway ends on January 12th. This is only open to entrants over the age of 18 in the US. Winner will be chosen by random and notified by e-mail. Winner must reply within 48 hours. The sponsor is responsible for mailing the prize. *I received this product to try for free but all opinions all my own. Everyone needs a good list of horror movies to watch for Halloween. Or just to watch in general. Here are ten horror movies I would recommend--some you may not know, some called "cult classics," and one in particular just there for comic relief. I'll bet you can guess which one that is. The movies are in no particular order...just some horror/thriller/suspense films I know you can watch if you are able to get access to Netflix or Hulu. I had the idea to make this post when I read several other lists, most including movies I couldn't get my hands on because they weren't available to me unless I went out of my way to get them. And who has time for that?! If you have any suggestions for me, comment and recommend them to me! If you've seen any of these movies, let me know what you think. Honeymoon leans more on the sci-fi side, but trust me when I say that does not excuse it from the horror category. This is a nice little gem of a movie, and I hope you find it every little bit as exciting and horrifying as I did. The movie featured here, Ginger Snaps, is one that I've re-watched a million times since first seeing it in my younger years. Of course, it was much scarier then, but it still holds up now. There are so many different thoughts about what exactly is the meaning behind this unique movie. Watch it and let me know what you think. This movie got me. It was one of those "makes the hair on your arms stand up" kind of movies. The Collector just had a good storyline and a good execution. And a good "collector." Chained is a bit...different. It's slow and it's unique. David Lynch's daughter is the director so if you know who he is, you'll know right away what "different" will probably mean. Either way, this is a good one. The Descent is a creature flick that probably isn't for everyone. You're either going to feel frightened or feel silly about it. I loved it because of how the characters' terror radiated through the screen; my friends on the other hand, hated it. I added The Others because it's more of a suspenseful flick that is slow and less "in your face" while still keeping you on your toes. It's also something many people can watch because it leans on the "lighter" side of horror. However, it will--eventually--grab you. An instant cult classic, The Amityville Horror is known for being loosely based on a true story. To me, that instantly makes a movie more creepy. This is up there with The Shining and The Exorcist for me. Tucker and Dale are on vacation at their dilapidated mountain cabin when they are attacked by a group of preppy college kids. Finally, for my last pick, a horror-comedy. You know...just for fun! Yes, it's actually pretty gory (going to go ahead and tell ya), but if you're up for laughs, Tucker and Dale vs Evil is PERFECT for you. I have been sensitive to light for a long time now. I also have chronic migraines. The two seem to go hand-in-hand. It’s such a mess whenever you feel like you can’t go anywhere with bright lights, or other certain types of lights, because they may trigger a migraine. Going outside is an obvious problem. Big box stores are a HUGE problem because of the fluorescent lights. But what people don’t always realize is that staying indoors can even set off migraines with light beaming off of ceiling lights or reading lamps, and yes sometimes even the television, the computer, the smartphone… Things chronically ill people like myself depend on day-to-day for news, social interaction, work, etc. The company Axon Optics helped deliver relief for me with these JURA style migraine glasses. Axon Optics offers glasses available for use in the home, for outdoors, and glasses than can be used for both purposes. I chose to review indoor glasses since that's where I spend most of my days (cue The Fresh Prince of Bel-Air theme song). I would wear these glasses when a migraine would first strike--even in a room that was only dimly lit--and I could easily notice less strain on my eyes with (for the most part) a usually milder migraine in the process. I tried to wear these as a type of prevention for migraines as well, but found that to be a bit aggravating because I don’t necessarily want to wear these every single day of my life. If I know I am going to be in front of or around excess lighting, I try to pop these suckers on, but I just don't find the idea of wearing glasses for my every movement appealing. I enjoyed wearing them when I was on my laptop. For me, this is the electronic device I seem to use the most and the one that generally brings about a migraine the most. To have a product that prevented a migraine or at least wore it down was awesome! What makes these glasses so special? Well, they have what's called the SpectraShield FL-41 lenses in them. They sound like something James Bond would wear, but what they manage to do is "block specific wavelengths that are known to trigger light-sensitive conditions" What's more? You can only find these lenses as Axon Optics. The glasses weren’t uncomfortable on me, just took a bit to get used to. Even then though, you still want to see through “your eyes” every now and then instead of through...rose-tinted-glasses. Ha! I appreciate that they aren’t TOO dark; this works comparatively better than wearing sunglasses inside for me. Sometimes I thought, “Wow, these aren’t dark enough to do anything, they’re probably barely even working!” But then when I would remove them, I would notice the light flooding my eyes. So yeah, they work! The style is not anything I had a problem with. At first I thought they looked like something a ‘50s rock-n-roll musician would wear, but then I thought...what’s wrong with that? I quickly adjusted to them, especially once I realized what wonders they were doing for my headaches/migraines. Whenever a product is working, sometimes you just don’t care if it looks silly or not. In this case, the Axon Optics glasses aren’t just made nice, they look nice too! Chelsea. Twenty-something normal gal dealing with an abnormal life of chronic illness. Suffering from Lyme disease and an obsession with clothes on clearance. If you need me, I'll be watching or reading the next best thing.